​Meals are co-created in teams once folks are registered. Tuesday before the Jam Jam. Ask about what to expect for lodging options. Send in a $50 non-refundable deposit to hold your spot. the Tuesday before the Jam Jam at 10am. View photos of past Jam Jams here. The Jam Jams are our co-created social laboratory of embodied cultural possibility. Practice listening to yourself within community. What do you want to explore and learn? Where are your growth edges? What is possible when a committed group of people come together to improvise and connect for a weekend? 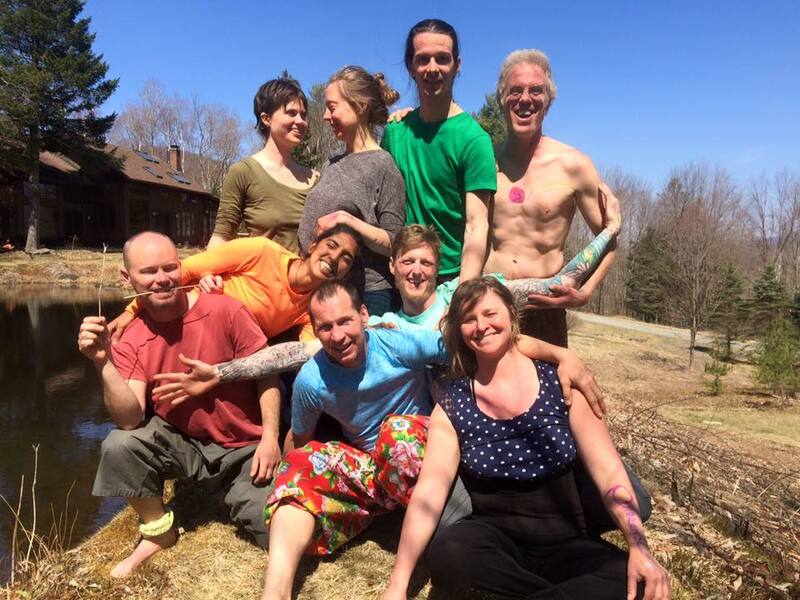 Join us for a co-creative experience at the beautiful Reciprocity Vermont Embodiment Center in Underhill VT. We will cook together, be nourished and co-create community. Abbi and Amanda will offer activities based in embodiment practices, contact improvisation, authentic movement, the work of Joanna Macy (The Work that Reconnects), and in connection to nature. Half way through the weekend, participants will decide the direction of the weekend and will propose, offer, and lead classes and experiences and will gain experience facilitating. These events are incredibly rich. In the past the topics explored based on the group's interest have included explorations/conversations of healthy listening skills, how we adapt in the face of the environmental implications of our time, learning about how to embody consent, exploring how we speak truth, uncovering and conceptualizing gender dynamics and class and other privilege, discovering what is deeply nourishing, looking into how we connect as humans and animals to each other and our environments, re-shaping our relationship to touch and more. We have run over 19 Jam Jam Retreats. Most Jam Jams have return participants and often people bring friends back with them. We look forward to meeting you soon!